Following suggestions that all of the 72 school crossing patrols in Suffolk may be axed to save £230K per year I have just submitted a Freedom of Information request to the County Council requesting the sort of information that will be required assess the risk associated with removing the school crossing patrols at each of these locations. Look East highlighted the fact that this amount of money was almost exactly as the annual salary of the chief executive at the council. Incidentally, a total of four pedestrian have been killed in the last 10 years close to one of the crossing patrols under review close to where I live. Elf and safety is an amazing thing. 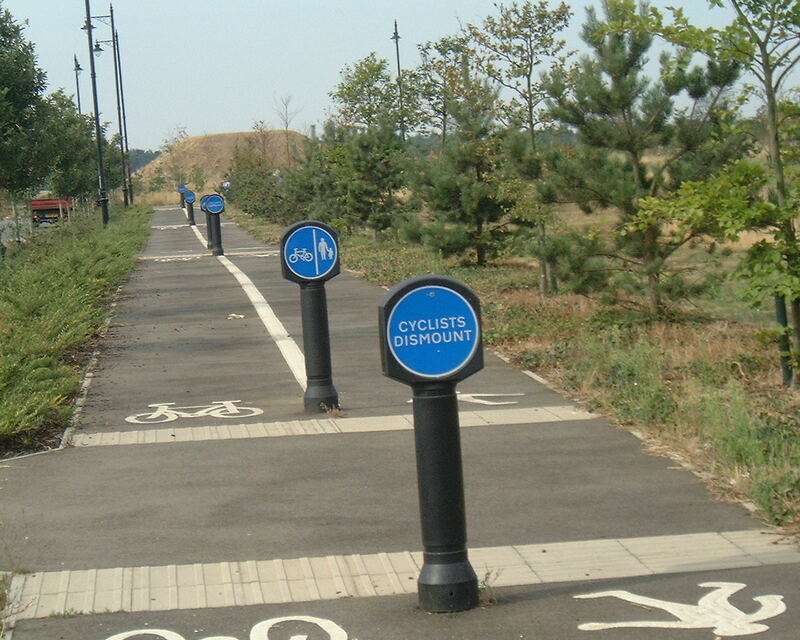 A few years ago a profusion of ‘cyclist dismount’ signs were installed at great expense in Ravenswood near Ipswich along a new cycle path which no one in their right mind would follow. Now I get the impression that parents will be left to fend for themselves crossing fast 30 mph roads when the chance of death is about 50% for a pedestrian hit by a car at that speed. If the same logic was used for car drivers as it is in Ravenswood for cyclists then car drivers would be expected to get out and push their vehicles along section of road where pedestrians were likely to cross the road! You can also get the context for the signage from Google Streetview.